Based on George Bernard Shaw´s "Pygmalion" the musical was premiered in March of 1956 in New York. The music was contributed by Frederick Loewe, the texts by Alan Jay Lerner. The musical was a big success right from the start. 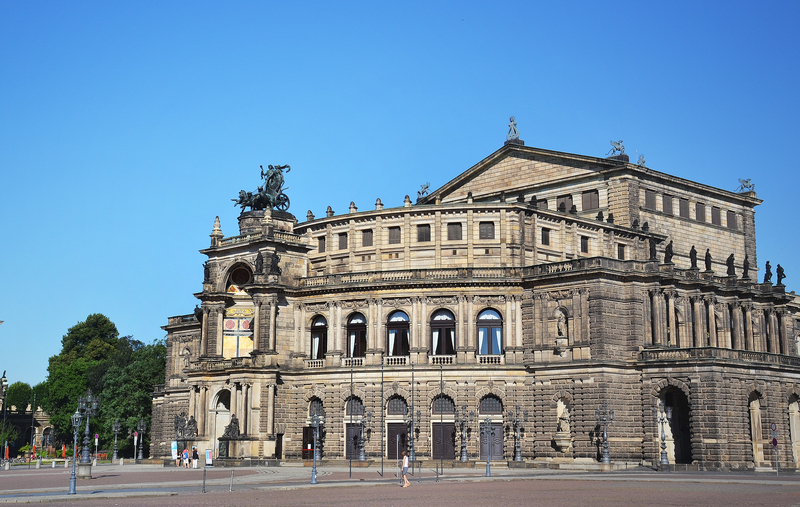 Here you can familiarize yourself with what’s on at the State Operetta Dresden. You will find productions from a very varied repertory ranging from operettas, to opera-bouffe and musicals. You can see what’s on in the season 2013/2014 in the overview for the individual months and shows can also be booked as a package including accommodation and further services. The programme gives you an idea about the productions that are on this season by offering short summaries and photos. Of course there is also a seating plan showing the seating categories at the this theatre. The State Operetta Dresden is one of few musical theatres in Europe that offer top entertainment for nearly every taste. You will find classical operettas like ‘Eine Nacht in Venedig‘ (‘A Night in Venice‘) and ‘The Bat‘, or ‘The Magic Flute‘ and ‘Hansel and Gretel‘, as well as musicals like ‘Hello, Dolly! ‘,‘My Fair Lady‘ and ‘The Rocky Horror Show‘.